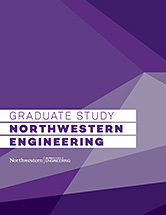 Tuition for the part-time MSIT program (two courses per quarter, Saturdays only) includes the cost of instruction, books, and other classroom materials, orientation and graduation events, meals and refreshments on class days, resources provided by the staff, and a variety of Northwestern University services. Total tuition cost: $36,606 per year ($6,101 per course or $12,202 per quarter, two courses per quarter). At this time, MSIT does not offer stipends, scholarships or teaching assistantships. Approximately 50% of part-time MSIT students receive at least some financial support from their employer and about 75% apply for financial aid in the form of loans. waiving enrollment by affirming alternate insurance that meets NU’s comparable coverage requirements. Click here to evaluate if your insurance meets these requirements. If you have any questions regarding financial aid, please contact the Evanston Office of Graduate Financial Aid.